In the desert black Rock Nevada in August 2018 will be even hotter! The world famous festival of creative people, Burning Man will last a week from August 26 to September 3, 2018 . Tickets are still available if you hurry! The most famous festival, which annually attracts tens of thousands of creative party-goers, conducted since 1986. Only then it is possible to truly feel the rhythm of «life», especially if you’re a creative person, aspiring to self-expression. And such visitors are the majority. People here just can not see! Get ready to get acquainted with the strange characters in your life! Burning Man is an unusual festival. This is a real, albeit very short-lived, the city where all the events created through the efforts of the citizens. In the desert of Nevada every year, in August, as if on level ground, there is a city called black Rock city, located on the bottom of the dry lake. The city’s population every year is different. In 2018 it will amount to about 70,000 people. Permanent houses there, instead of tents. As in any other city, black Rock city has all the necessary infrastructure. Compared to previous years, the creators of the festival have reduced the width of the streets to reduce the speed of traffic. Thus, it is planned to achieve greater concentration of residents are in the streets of black Rock city art objects, but also to promote a more cohesive society. 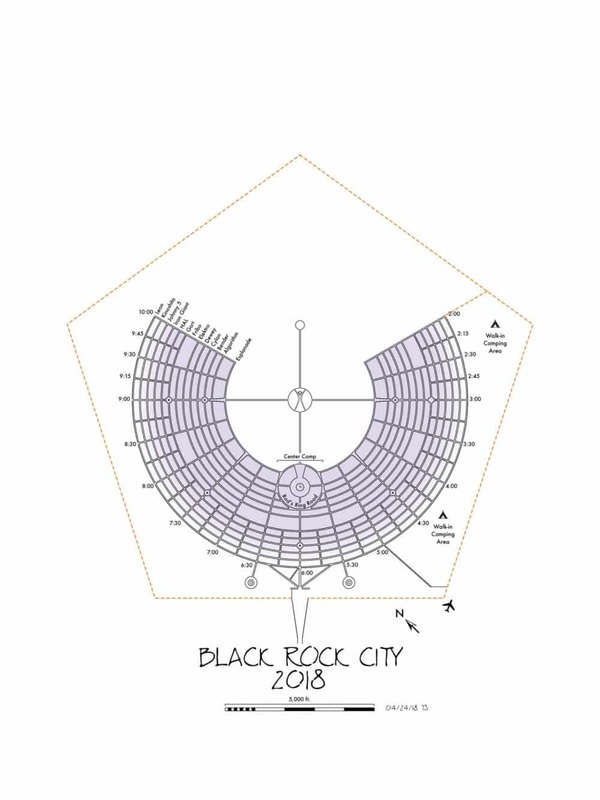 In the heart of the city will work locations with gazebos in the shade, where the inhabitants of black Rock city will be able to communicate with each other, exchanging creative ideas. 8 days, the city will live its bright, filled with the creative vibration of life, and in the night from Saturday to Sunday will be the culmination of the festival is symbolic burning of a wooden sculpture of a man. It is a kind of process of rebirth. The person turns to ash and takes his land. Begins a new Chapter of life. The festival will start on Sunday 26 August and will end on Monday 03 September. Most of the visitors usually leave Nevada on Sunday, so on Monday in black Rock city will be deserted. Black Rock city although considered a city, but on the maps to find this place virtually impossible, which greatly complicates the lives of the participants. The closest residential town is Reno, Nevada. From him to the Burning Man just 160 km away. From Reno you need to get on the highway I-80 and drive 28 miles to the East. Turn off at exit 43 in the direction of the Wadsworth / Pyramid Lake. There is a gas station if you need fuel or rest. Then you will need to drive one mile on North side of Wadsworth and turn left, without leaving 447 highway. After 78 miles, will take you to Gerlach, and then drive 8 miles North on State Route 34, you will fall, finally, in black Rock city. Go from Reno on interstate 80 and move 4 miles to the East. Then get off on exit 18, Pyramid Way, highway 445. Turn left and head North about 31 miles. Near Pyramid Lake, turn right on highway 446. Go to the Nixon side, 12 miles to the East. In Nixon, by the way, it is possible to stop for gas. Then turn left on highway 447 and head North. After 54 miles you get to Gerlach, from which black Rock city is just 8 miles North on State Route 34. Attention! Highway 447 consists of only two lanes, and at Burning Man 2018 plan to bring 70,000 people. It is logical that the sooner you plan the arrival, the less chance to spend the day in the Nevada desert in the tube. Going on a week-long festival in the Nevada desert, make sure that you are ready to live this time without the usual urban human things. In black Rock city has all the conditions for the extreme expression: you can walk naked through the city, wear a suit weighing 35 kg, consisting of light bulbs and cotton wool, to move on stomach – in this regard, your freedom no limits. But this kind of thing, a warm shower, a comfortable bathroom, quick and easy food, or even supermarket will be waiting for you only to get back home. A sense of humor, action and positive thinking. Costumes, musical instruments, scenery – anything that will help to Express yourself. A robot must protect itself, unless its actions are not contrary to the first and second paragraphs. Asimov, like many philosophers before him, believed that there can be morality without emotion. This year the festival is dedicated to topics of mutual existence, creativity and artificial intelligence. What is actually happening now? Do we in the Golden age, liberating all from meaningless toil? Or rapidly approaching depending on robots? In a world increasingly controlled by intelligent machines, who will be master and who slave? Anyone who has been to the festival, it is known that the main feature of Burning Man are considered to be unpredictable, spontaneous and full of improvisation. Scheduled programs do not exist, because according to the authors, residents themselves create everything that happens in black Rock city. The only event that you can guarantee with 100% certainty, is the traditional burning of a wooden sculpture of a man on Saturday 01 September. To purchase tickets to the most popular festival in the US in less than 20 days before — almost unreal. Those who are not willing to pay intermediary companies, there is only from time to time to check the possibility to purchase tickets on the official website of the Burning Man festival, scheduled in 2019. If you decided to get to Burning Man 2018 – will have to turn to intermediaries. Only better hurry! Now the minimum ticket price per person – $1.240 and such tickets are almost gone!